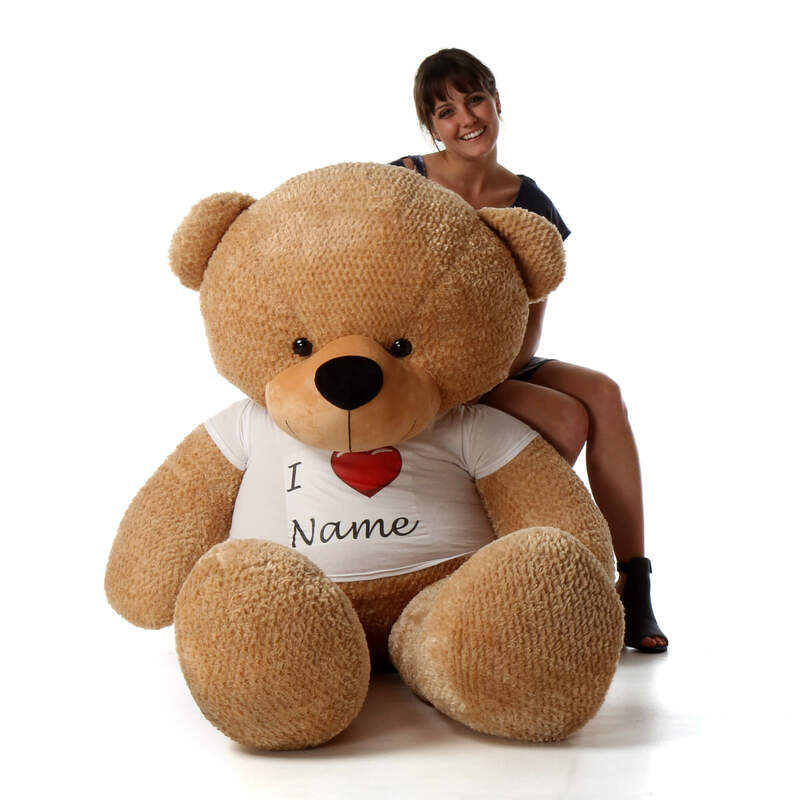 Shaggy Cuddles is one of our famous Giant Teddy brand bears, and he’s got you covered when you need an adorable, impressive and romantic Valentine’s Day gift (or anytime!) He’s an enormous life size 6ft (72in) teddy bear, with beautiful and unique soft cuddly amber brown fur that you’ll want to hug all day. Shaggy has big brown eyes, a soft, chubby black nose and he always has a big smile just for you. He’s wearing a personalized shirt that we’ll add a name to – the design is, ‘I [red heart symbol] [name of person you love]’ on the front. Shaggy Cuddles is as big as your love – and he’s a gift that will be remembered forever!